I'm a 6th-generation winemaker in love with wine...food...the written word and searching for joy and beauty. December 18, 2018 December 18, 2018 by StevenKentMirassou2 Comments on Livermore Arise! It would be different if the Livermore Valley appellation didn’t promise such potential. If our Valley weren’t oriented the way it is — to the cooling mouth of San Francisco Bay — and if it didn’t have such an ideal diurnal temperature range, and a wealth of different soil types and micro-climates; the early history of excellence (the first International gold medal for a California wine was awarded to a Livermore wine, and in the 1880s more acreage was planted to Bordeaux varieties than Napa), and a core group of vintners intent on pushing the envelope of quality, you could forgive the lack of attention the Valley gets from the critic and high-end wine consumer. But it does…and you can’t. Or you shouldn’t, and neither should any of the producers here in the appellation. There is too much quality inherent in the land and weather and history here to settle for producing less than terrific wine. For any number of original motivations, the winemakers who are in the Livermore Valley have been called here. But that is not enough; the Livermore Valley makes demands and it is up to us to step up and answer them. And while much has improved on the wine-quality front in recent years, everyone making wine here needs to do a better job if we are to be taken seriously by the larger world. There isn’t always a precipitous event (like the Paris Tasting) that thrusts a place into the limelight. Much more often than not, it is the steady and quiet accretion of quality that eventually tips over past notions, and — in the words of my father — 20 years later you’re an overnight success. Not to put too fine a point on it…that’s your daddy’s paradigm. Information moves too quickly these days and focus is lost easily as new opportunities for wine consumers are offered, seemingly, on a daily basis, and new appellations come to the fore. If the Livermore Valley is going to ascend to a level it should, the heavy work needs to be done now and needs to be done constantly. This is a call to arms! It may be cute to be second place, but it sure ain’t pretty. History and story are inextricably bound…the Story is what we tell to make sense of where we came from and from whom. As we know from great literature, the two are very malleable. In America – maybe most especially – if you don’t like the reality of the history, simply tell a different story. Each vintage is a new chapter in the Lineage story. The Lineage Wine Company story is simple: Because of the inherent viticultural excellence of our growing area in general and the magic of our Ghielmetti Estate Vineyard in particular, we believe we can make a single wine that can eventually be favorably compared to the best, most iconic wines in history. Everything we do in the vineyard and in the cellar is meant to reinforce this true story. Indeed, every effort at storytelling (including this very blog post) is also meant to break down resistance to our admittedly audacious mission. We’d contend that in the world of great wine, the bar to the “true story” is set significantly higher than real life, and no matter how many different ways a winery tries to tell it (instagram, facebook, twitter), the reality will always and only be found when the cork is pulled. Each successive vintage is another chapter in the on-going, wonderfully complicated tale that is part vineyard, part season, part winemaking philosophy, and part luck. If you read the major wine magazines such as the Wine Spectator or Wine Enthusiast most of their reviews of high-end wine are accompanied by a recommended drinking window. This “massive” Cabernet will last for 20 years; or drink from 2020 – 2030, etc. It is thought that more than 90% of wines that are bought in supermarkets and wineshops are consumed the same day so the drinking window (in this context) is essentially meaningless. But that’s a topic for another rumination. What’s not meaningless, however, is the notion that part of a wine’s essential quality is tied to the perception of how long that wine can age or how long past release the wine hits its peak. This equation is influenced by all kinds of caveats, and I have spent a career thinking about its validity. America is a very young wine-drinking culture, and California a very young wine-making area. When you are just beginning to become interested in something you tend to look to examples from the Old World, no matter dissimilar the growing areas are. The notion of ageability as a prerequisite for quality was formed long ago and based on a foreign paradigm that doesn’t seem relevant to me any more (viz. California wine). And Europe was the obvious place from which American winemakers and drinkers took their cues. Bordeaux and Burgundy (Cabernet-based wine predominantly, and Pinot Noir) produced wines (generally) much harder in tannin and lower in fruit than their California counterparts. When my father really got into wine in the mid-1960s, the best examples of Cabernet were Bordelais and these massively tannic and acidic wines needed decades to soften and complex up. The same was rarely true of the California example of the grape – especially those wines made in the last 10-15 years when the predominant wine-making style shifted to longer hangtimes, more fruit, less acid, and less ageability. One of the great truths and part of the essential nature of the greatness of wine as a thing is that it does CHANGE. Wine evolves; it matures; it lives out its life sometimes grandly and over a great many years and sometimes its nature is that of the May Fly. How wine practically changes is for a long chemistry conversation and is fairly well known. But HOW a wine is going to change or AGE is fraught with so many tangential but crucial questions I’d argue that it is knowable only within a range, and not even very well at that. Storage conditions – temperature (absolute temperature and temperature range), humidity, absence of vibration and light; quality and integrity of the cork; wine variety; reputation of the producer; winemaking style; appellation; hillside or valley floor…all of these factors will influence the wine’s ability to age, practically speaking. Then when you take into account your personal preferences (freshness of fruit, like or dislike of tannin and acid and wood, desire for tertiary aromas and flavors brought on by bottle bouquet and age) age-worthiness as a signifier of quality becomes much more complicated and ephemeral a conceit. The wine press and the avid wine consumer have taken a simple Old World reality that high-quality wines needed time to become enjoyable to drink and did their transmogrifying voodoo on it. What we are left with is a tarted-up New World notion that ascribes excellence to a dynamic that began as a purely pragmatic realization. I would contend that there are no objective measures where affairs of the heart ( and of the palate) are concerned. I can measure the amount of titratable acid there is in a wine, the pH level, the amount of alcohol by volume, and a bunch of other things. What I can’t measure, though, is how these things make you feel, how all of these individual planks combine in your mouth and your mind and your heart to create your individual sense of the wholeness of the thing. All wine’s can age. Not all, in fact, – most – are not meant to age for a long time. Each time you drink a wine, you are getting only a snapshot of its life; the quality of that life, however, is purely a product of your own needs and desires. Just like the color orange, expressing in words the essence of the thing you are tasting and smelling is nearly impossible. Great wines tend to get more complex the older they are. Primary fruit and the impolite, exuberant structure of youth give way to integration and propriety and a depth we associate with maturity. Neither state is inherently more valuable or more worthy than the other. These states are not even individual stops reached in the whole span of life; they are only moments in time, fated to change even just a moment later. Really good wine gives a pleasure that is thrilling in its physical briefness, and very long in the memories that it creates. A great wine has less to do with how long it can live and more to do with its ability to transfigure the Time that it has. I am fortunate to be working in the Livermore Valley, a too-little known gem that is demonstrating – at its best – the ability to grow Cabernet Sauvignon as great as any in the world. I’m also fortunate to have been born into the oldest winemaking family in America – a family for whom wine has been a singular professional focus for nearly 160 years. Lineage|Livermore Valley is meant to be one of the great Cabernet-based wines in the world. I apologize in advance if the preceding statement sounds immodest. It is meant only to describe the intended trajectory of a life-time mission. My thinking is that If I’m going to devote my career to trying to accomplish one thing, It might as well be a BIG thing. I’m going to follow the Boss’s advice here and walk tall, or don’t walk at all. What really gives this personal bet a chance of paying off—in the end—is the spectacular viticultural quality of the Livermore Valley. Oriented east-west, and situated between two ranges of mountains, 30 miles east of San Francisco Bay, our Valley is warm during the day and really cool during the night. This dramatic diurnal temperature range describes and circumscribes the sugar-producing photosynthetic activity of day and the maintenance of balancing acidity that happens in the cool of the dark. Only the best regions have this dramatic range, and coupled with a multiplicity of soil types (there are six alone ribboning through one of our estate vineyards), and microclimates afforded by an elevation range of 500′ to more than 1000′ above sea level, Cabernet and its Bordeaux cousins thrive. I am most attracted to wines that are elegant and beautiful and balanced. 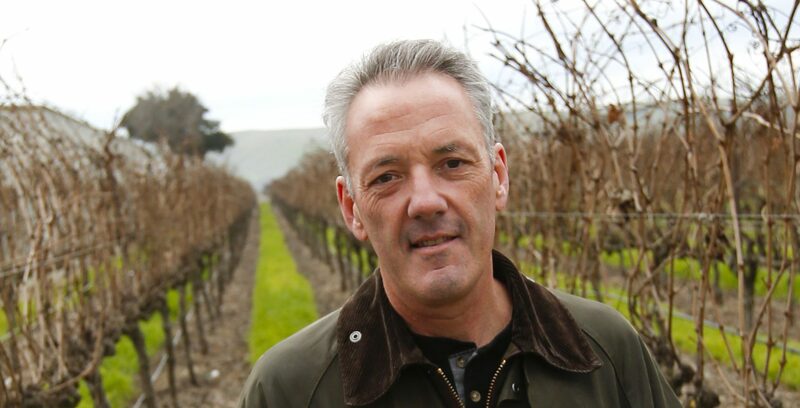 Lineage|Livermore Valley must be compelling; it must have vitality and movement, depth and length and complexity. More than any individual characteristic, though, is that the wine must have a sense of cohesion (and with a blend of the five classic varietals, this is one wonderful challenge); it must seem inevitably of one piece. The intricacies of getting five different grapes from several different vineyards – from those vineyards through the crush pad and fermentors into barrels and onto the blending table and finally into bottle where the life of Lineage|Livermore Valley begins is what obsesses me. 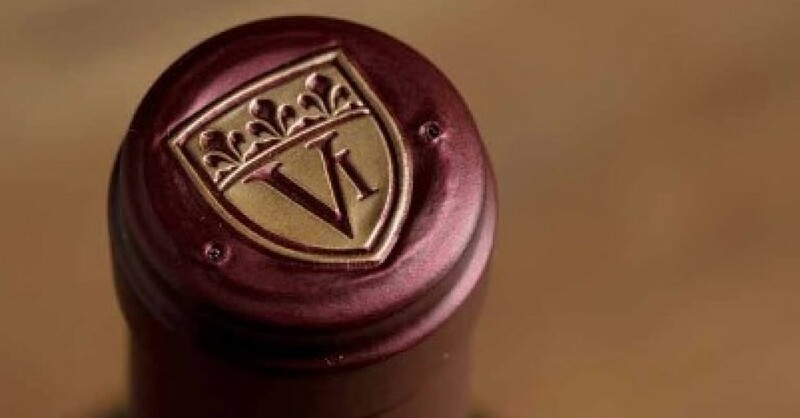 VI adorns the wine’s capsule and label. It marks six generations of winemaking and stands as the aegis under which all of my winemaking energy and love will fall. The more wonderful thing in terms of lineage is that the VI may soon need to be amended to VII as my son, Aidan Mirassou, is now managing our cellar. To be connected to previous generations of the family who labored as I have, who have crushed and pressed and bottled at the same time of year…separated by a sesquicentennial, is a compelling place to be. But to be the generation that shows that same magic to the succeeding line, and serves as the link to the past AND the springboard to the future goes deeper than words.